Important policy updates from 3rd November 2017 – 9th November 2017. Minister of Communications Shri Manoj Sinha launched a Pan India scholarship program for school children called Deen Dayal SPARSH Yojana to increase the reach of Philately. 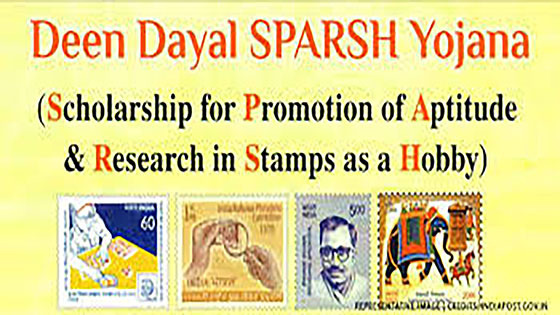 Under the scheme of SPARSH (Scholarship for Promotion of Aptitude & Research in Stamps as a Hobby), it is proposed to award annual scholarships to children of Standard VI to IX having good academic record and also pursuing Philately as a hobby through a competitive selection process in all postal circles. Briefing the media after the launch of the scheme, Shri Sinha said that under the scheme, it is proposed to award 920 scholarships to students pursuing Philately as a hobby. ASCI & GAA agree for the establishment of Centers of Competence/Excellence. Union Agriculture and Farmers Welfare Minister Shri Radha Mohan Singh welcomed the Shri. Peter Bleser, German Federal Minister for Food and Agriculture. Talking about the cooperation, he told that six JWG meetings have taken place since 2008 and now, Agriculture Skill Council of India (ASCI) and German AgriBusiness Alliance (GAA) have agreed to cooperate the establishment of Centers of Competence/Excellence in Agriculture, while the cooperation in seeds sector is active as project implementation agreement for the next phase (January 2017 to December 2018) had been signed in May 2017. A first of its kind premier Cyclothon event was flagged off from New Delhi’s Jawaharlal Nehru Stadium. This event was organized under the dynamic leadership of, Minister for Petroleum & Natural Gas and Skill Development & Entrepreneurship, Shri Dharmendra Pradhan. It attracted around 5000 participants from all walks of life including officials from various Ministries and the Oil Industry, Sports personalities, Celebrity star Farhan Akhtar, school and college children cycling professionals, amateurs, and housewives. Shri Dharmendra Pradhan, himself lead the 5 km Green Ride amidst great excitement and fan-fare to create awareness for the cycle. Egypt Offers its Excellence Centers for Training Indian Sports Teams. The Minister of State (Independent Charge) for Youth Affairs and Sports, and Minister of State for Information & Broadcasting, Col Rajyavardhan Rathore met his Egyptian counterpart Mr. Khaled Abd El Aziz on the sidelines of World Youth Forum at Sharam El Sheikh, Egypt. Mr. Aziz praised Indian leadership for taking long-term decisions in a quick and decisive way and offered their center of excellence like the Olympic Centre for the short-term training programme for Indian sports teams. Col Rathore informed him about the decision of hiring Egyptian trainers and support staff for squash. Col Rathore also asked the Egyptian Minister to encourage local students to take up seats in Indian universities meant for foreign students. Union HRD Minister Sh. Prakash Javadekar inaugurated a two-day National Workshop “Chintan Shivir” organized by Department of School Education and Literacy, Ministry of Human Resource Development in New Delhi. The main aim of the workshop is to provide holistic education relevant for 21st century India and to bring together key stakeholders from various NGOs, private sector and individuals to deliberate on key themes in the education sector. Speaking on the occasion HRD Minister informed that workshop mainly focuses on five themes i.e. Digital education, Life Skill education, Experimental learning, Physical Education and Value education. CIL Launches A New App “Grahak Sadak Koyla Vitaran App”. The coal ministry has launched a new mobile application to facilitate Coal India customers to lift coal through road. The ‘Grahak Sadak Koyla Vitaran App’ will help the company to achieve transparency in coal despatch operations, monitor whether the despatches are made on the fair principle of first in first out and keep track of all activities from the issuance of sale order to physical delivery of coal by road. This app is a step towards transparency in the system of loading programme and despatch. Government Launches “SHe-Box” Online Portal. The Women and Child Development ministry launched an online platform to enable women employees of the central government to file complaints related to sexual harassment at the workplace.She said the platform will cater to central government employees in the beginning and thereafter, its ambit will be widened to include the private sector as well. “We are also going to soon conduct a national survey to assess the nature and magnitude of sexual harassment at the workplace”. The online complaint management system — ‘SHe-box’ (sexual harassment electronic box) — hosted on the website of the Women and Child Development Ministry, also seeks to ensure “effective implementation” of the Sexual Harassment of Women at Workplace (Prevention, Prohibition, and Redressal) Act, 2013.